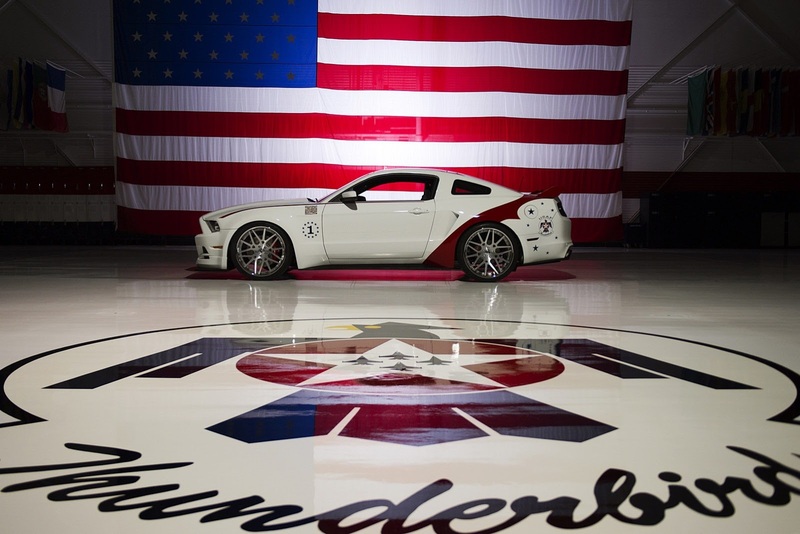 Ford has created a one-off Mustang GT to celebrate the sixtieth anniversary of the U.S. Air Force Thunderbirds, the U.S. Air Force aerobatic team. 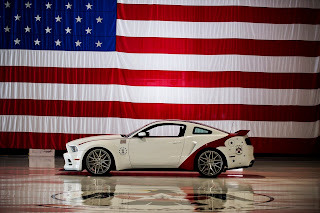 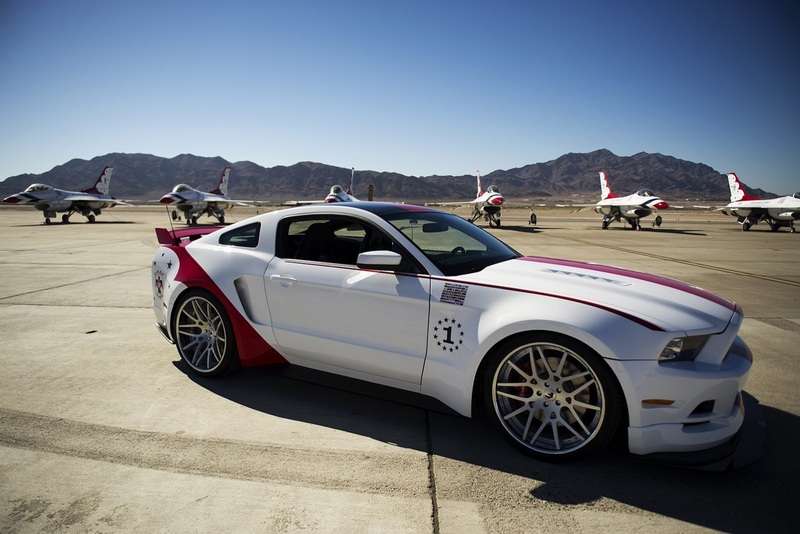 The Ford Mustang GT U.S. Air Force Thunderbirds comes with forged 22-inch alloy wheels, coats of the aerobatic team on the body and the livery of the F-16 Falcon. The cabin is equipped with Recaro front seats and unique custom details. 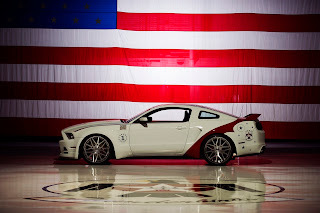 Under the hood, the Mustang has a new supercharger, it is also fitted with Brembo brakes and sportier suspension. 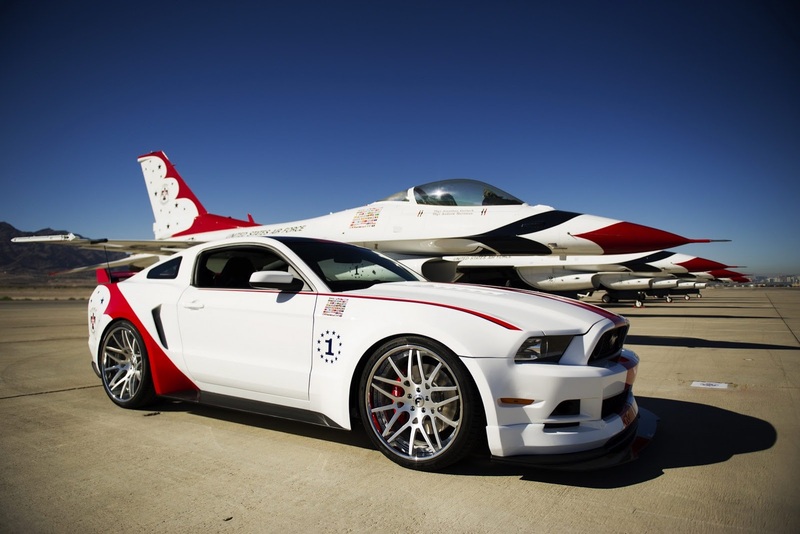 The Ford Mustang GT U.S. Air Force Thunderbirds will be sold in a charity auction on 1st August at EAA AirVenture in Oshkosh, Wisconsin. 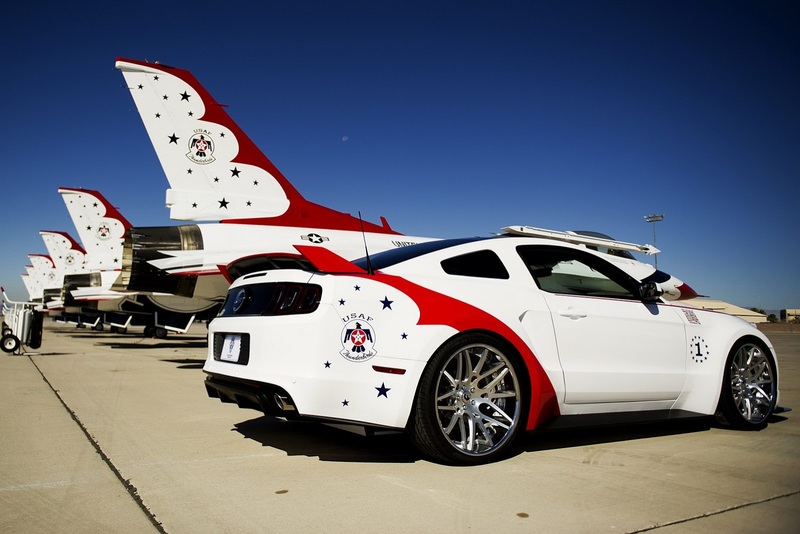 The proceeds will be donated to the EAA Young Eagles program. La Ford ha realizzato un esemplare unico di Mustang GT per festeggiare il sessantesimo anniversario della US Air Force Thunderbirds, la pattuglia acrobatica dell'aeronautica militare americana. 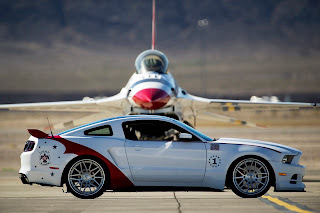 La Ford Mustang GT US Air Force Thunderbirds si presenta con cerchi in lega forgiati da 22 pollici, stemmi della pattuglia acrobatica presenti sulla carrozzeria e la livrea dell'F-16 Falcon. L'abitacolo è dotato di sedili anteriori Recaro e dettagli personalizzati unici. 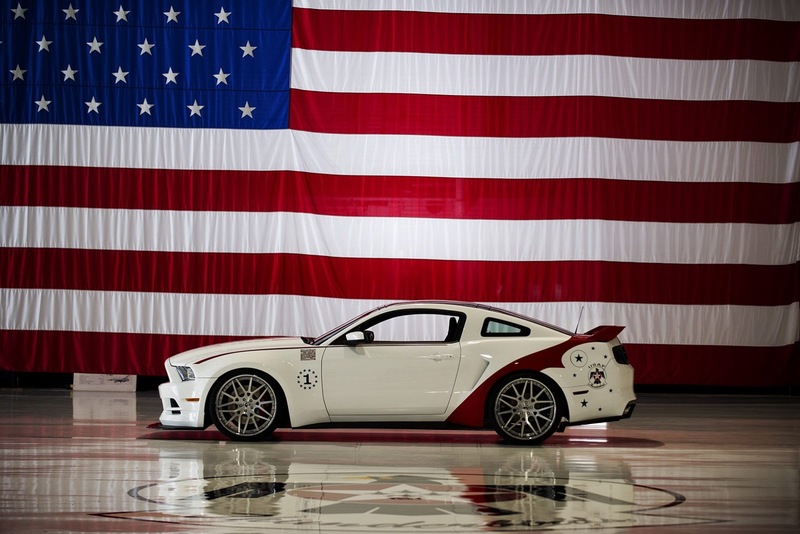 Sotto il cofano, la Mustang adotta un nuovo compressore, inoltre è stata dotata di freni Brembo e sospensioni più sportive. 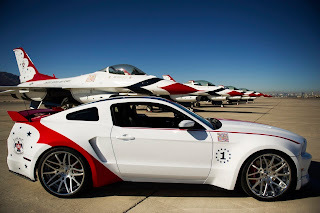 La Ford Mustang GT US Air Force Thunderbirds sarà venduta in un'asta di beneficenza il primo agosto in occasione dell'EAA AirVenture di Oshkosh, nel Wisconsin. Il ricavato sarà devoluto al programma EAA Young Eagles.